Broager is a small town in Southern Jutland west of Sønderborg. 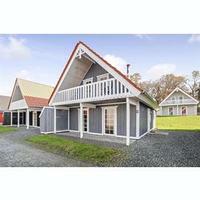 the town is located on the peninsular Broager Land in the beautiful nature of Southern Jutland. 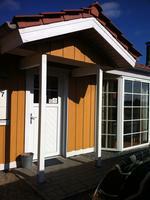 Cottages in Broager are only a short distance from fine beaches in the Bay of Sønderborg and Flensborg Fjord. With a cottage or a holiday flat in Broager you are only a short distance from the many attractions in Southern Jutland. A cottage in Broager is the right setting for a fantastic holiday. There was no summer houses in Broager - In stead we shows summer houses in the neighbour villages to Broager. 4 persons 2 bedrooms Dishwasher Washing machine Internet - Broadband Distance to beach: 100 m.
Nice cottage for 4 persons with lounge and 2 rooms, air conditioning / free Internet. Close to Gråsten and Sønderbog. Opportunity for the cheap shopping in Germany (Flensburg). 4 persons 2 bedrooms Internet - Broadband Distance to beach: 100 m.
4 persons 2 bedrooms Dishwasher Washing machine Whirlpool Sauna Woodburner Distance to beach: 10 m.
Holiday home from 2007 in the harbour of Graasten i first row with stunning panoramic views over the water and the harbour. Within walking distance the village and Graasten Castle. The apartment is light and spacious with 2 floors with a large terrace. 5 persons 3 bedrooms Dishwasher Washing machine Whirlpool Sauna Woodburner Internet - Broadband Distance to beach: 10 m.
New cottage for 8 persons in Gråsten 50m from the sea. Beach and subtropical waterpark. 4 bedrooms, 2 toilets, spa, sauna and terrace with views, great living room with TV and wood stove. 8 persons 4 bedrooms Dishwasher Washing machine Pool Whirlpool Sauna Woodburner Internet - Broadband Distance to beach: 50 m.
3 persons Dishwasher Internet - Broadband Pets OK Distance to beach: 25 m.
Lovely cottage with fine secluded garden, 1 roofed and 3 open terraces. Lounge with open kitchen, 2 bedrooms and bathroom. Outdoor shower with cold and hot water. Solar heating for power and hot water saves on utilities expenses. 50m from the beach. 6 persons 2 bedrooms Dishwasher Washing machine Woodburner Internet - Broadband Distance to beach: 50 m.
Lovely cottage Gråsten at Flensburg Fjord. 8 persons, 4 bedrooms, sauna, free access to subtropical water park, close to forest, water, nature, playground, shops, marina. 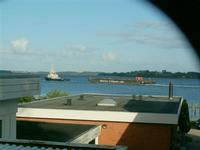 Visit Flensburg, Dybbelbanke, Danfoss Universe, etc. 8 persons 4 bedrooms Dishwasher Washing machine Whirlpool Sauna Woodburner Internet - Broadband Pets OK Distance to beach: 50 m.